The information contained herein is not intended to represent a medical diagnosis, treatment, or medical advice in any form, as it is general information and cannot be relied upon without consultation with your physician. The information contained herein is not intended nor is it implied to be a substitute for professional medical advice. 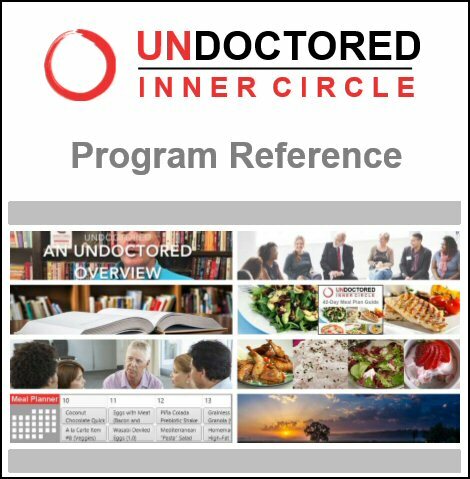 The Undoctored program requires that you consult with your physician and healthcare providers before implementing any portion of the Undoctored Program. As medical information and your health can change rapidly, we strongly encourage you to discuss all health matters and concerns with your physician before beginning, stopping, or changing any diagnostic or treatment strategies.